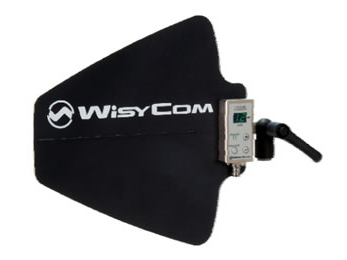 Wisycom LBNA is a wideband UHF antenna LPDA (LOG PERIODIC DIPOLE Array). It enhances reception providing approx 6 dB gain with typical beam-width of 90 degrees. It embodies a signal amplifier with digital control adjustable gain. Weather resistant, it grants perfect working even in outside locations.